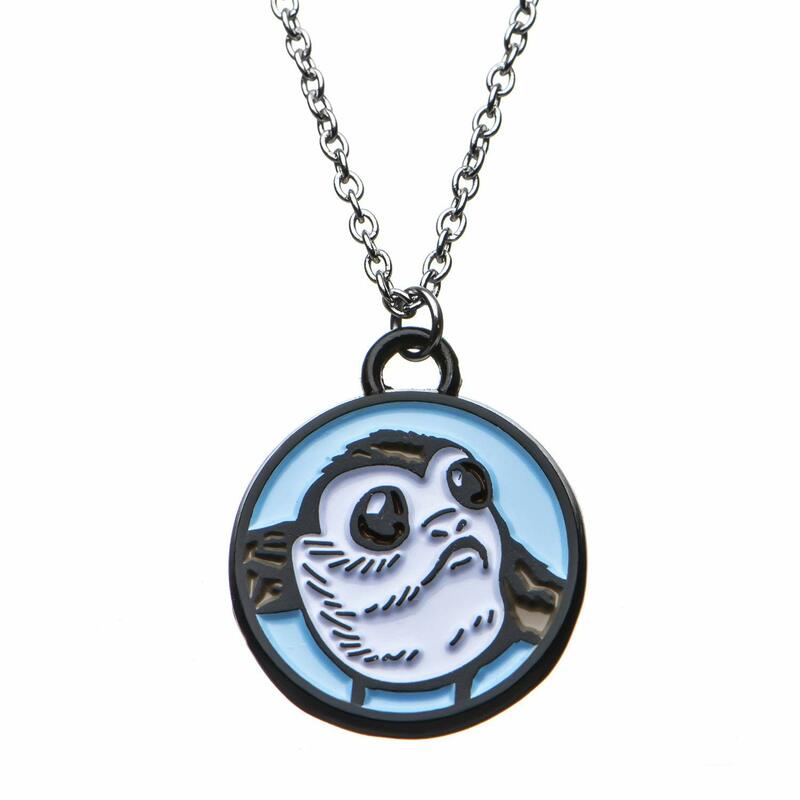 Show your love of the adorable porgs with this cute necklace by Body Vibe. 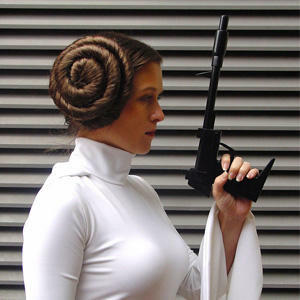 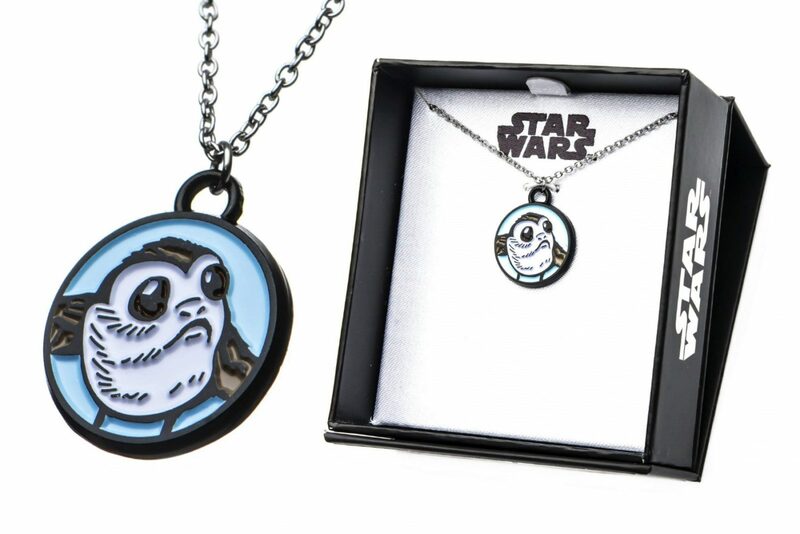 The silver-tone chain necklace features a black circular pendant with an inset design of a porg. 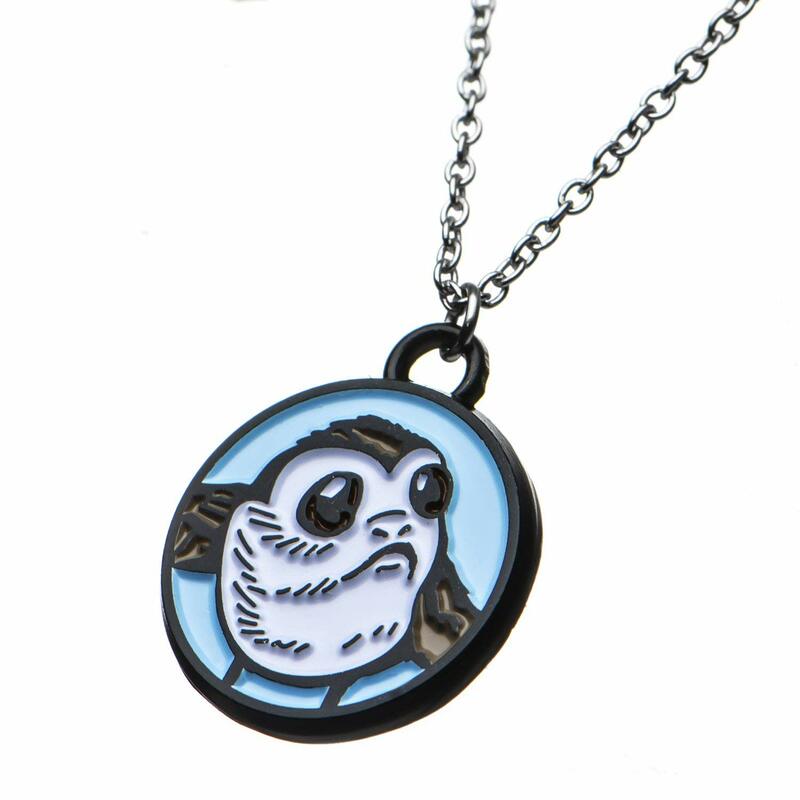 The pendent is accented with colour enamel, highlighting the porg design against a pale blue background. 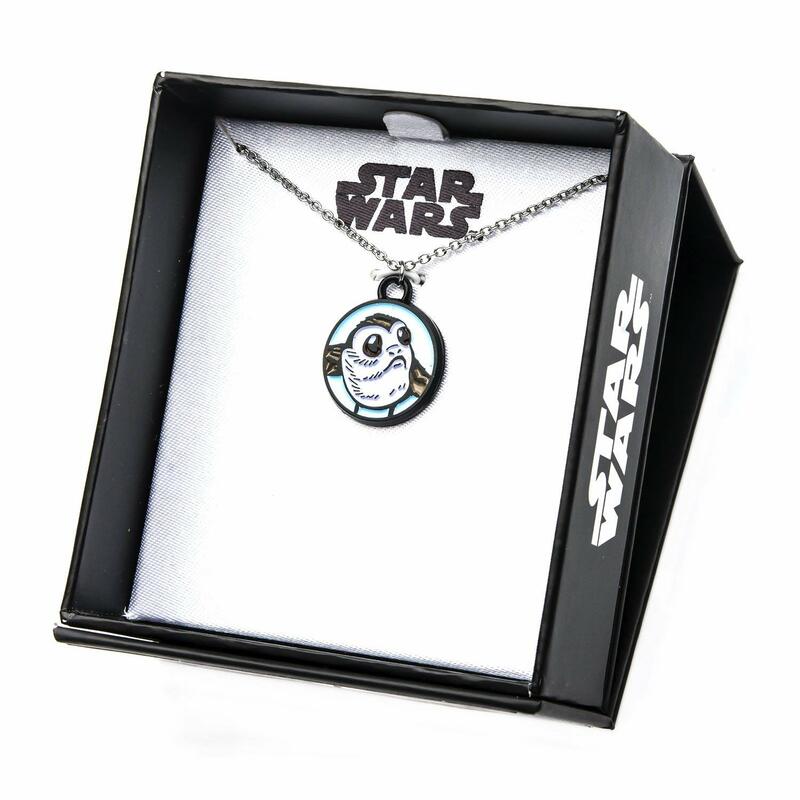 The necklace is priced at US$9.49 to US$15.99 each – shipping rates/policies vary by Amazon seller (international customers can order via a US mail forwarding service).